This is the third version of the Virtual Museum. Earlier versions were hosted by Microsoft but the service (which was originally free) is no longer available and the data has been transferred (with much help from Kasia) to Squarespace. There is now a 'blog' facility (here) but for the moment it is not 'live' as I do not have time to moderate the content of postings by others. So, for the moment the pages will be used to notify updated content and for general information. The Museum began as a photographic record of one collection. The first photos were taken by Michael Jeffery of Woolley and Wallis in Salisbury (who continues to support the Museum by allowing access to a comprehensive archive of past auction lots). Other collectors have donated images or allowed their collections to be photographed. The present collection represents a 10 year accumulation of images. 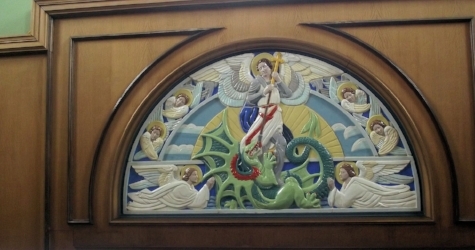 Below- the reredos at St Michael's Hamworthy, courtesy of Jo Amey (aka The Tile Lady). 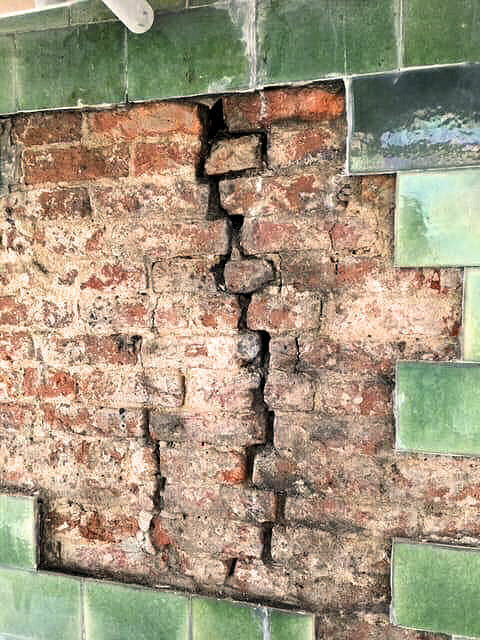 Jo gives guided tours of Poole Old Town and central Bournemouth exploring the tiles and ceramics of the local buildings. 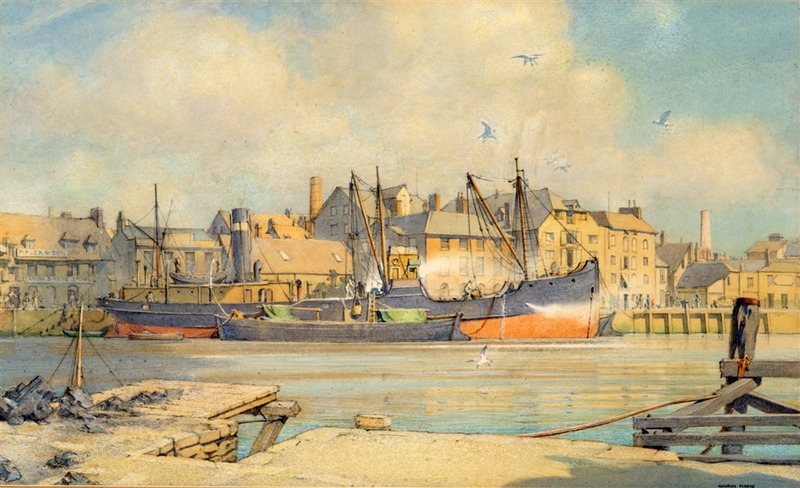 'The Bonawe loading china clay at Poole' - pencil and watercolour by Maurice Clarke. This painting was for sale at Greenslade Taylor Hunt in Taunton and the description is from the artist's label, verso. The scene dates from around 1906. It appears to me that the coaster is loading ball clay in lumps from the barge lying alongside, using baskets or buckets. The clay would have been transported from the clay pits near Wareham to one of the wharves on the western side of Poole harbour where the barge would have been loaded. The natural water content of clay is about 15-20% in which state it is quite 'plastic'. However if it dries out - which happens in dry weather conditions - it becomes very powdery without any milling because of its extremely fine particle size (much finer than china clay). This can give rise to very dusty conditions - that in the context of current health and safety regulations can be quite problematic! The painting perhaps slightly over-dramatises the dust but I can imagine that it is not altogether unrealistic. Since the 1930's ball clay has been produced in a milled powder form but it has to be transported in paper sacks which would not give rise to dust during loading unless the sacks were damaged. I feel sure that the description of the material as china clay is incorrect, but this is a mistake that is made very frequently as china clay is much better known than ball clay. As you mention, china clay would certainly be delivered by sea to the potteries in Poole but that would have been discharged from the coasters directly onto the quay. I think it is unlikely, from both practical and contractual points of view, that the coaster would have been loading ball clay and unloading china clay at the same time. The white colour of the dust is like that of ball clay powder, despite ball clay generally being slightly grey 'as dug'. Thank you. The painting has been restored and has gone to a good home - The Ball Clay Heritage Society. 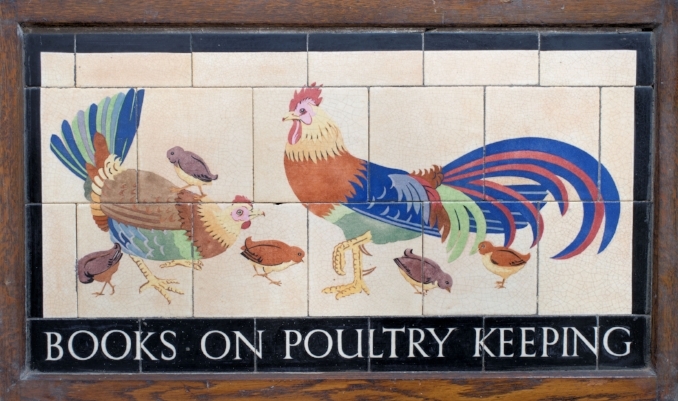 Above - tile panel in the cafe/restaurant at the Poole Quay building, prior to its closure. The Poole Arms is said to be the oldest pub on Poole Quay, dating from the 1600's. The green tiles and Poole coat of arms were trademarks of Marston's Dolphin Brewery of Poole and date from the early 1900's. Given the southerly aspect and waterside location the tiles had fared pretty well. Above -photographed prior to the recent (2018) restoration work (below). Left - life-like printed sheet protecting the scaffolding and restoration work. Right - restoration work completed. Carters ceramic panel made for Rugby High School , 1927. It was originally set into the gable end of the School’s assembly hall and was donated to Rugby Art Gallery and Museum by the Rugby High School Old Girls’ Society when the building was demolished. The Museum of London Archaeology have very kindly agreed to make available their photographic record of the Carters tile panels at WH Smith’s Newtown Powys store (and museum). Some of the (40 or so) different designs on display are shown in the Carters Tiles section. The designer of the W H Smith tiles is unknown, but do the suitcase initials on the Newtown Powys ‘Travel Books’ tile panel offer a clue? Any suggestions? One of a pair of interesting dishes with no markings (probably trials) with the kiln and dolphin trademark designed byArthur Nickols, part of a mixed lot sold by Cottees today. After Poole Pottery - an enamelled steel plaque by Robert Jefferson. 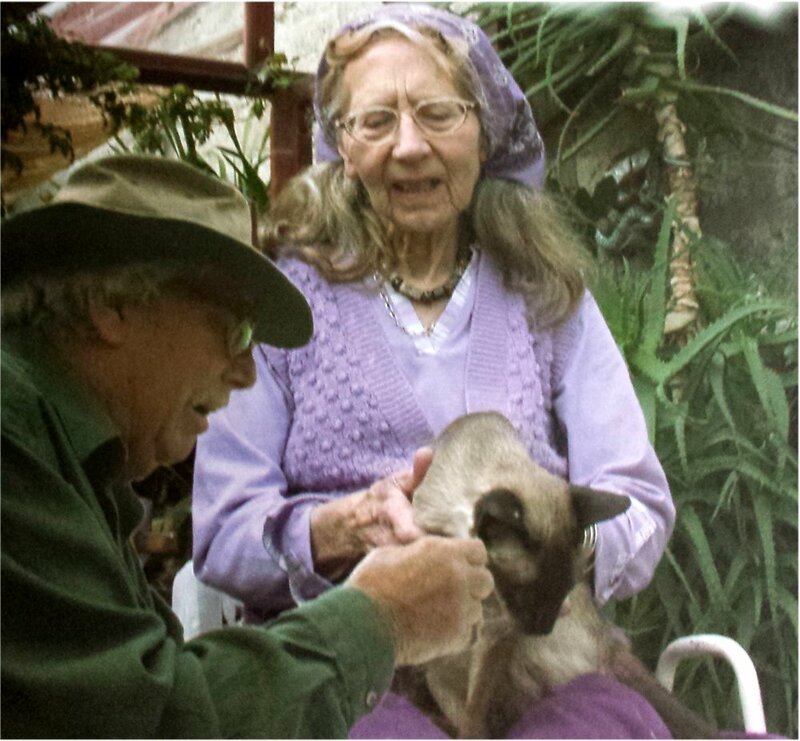 Some more examples are illustrated in ‘The Quiet Virtuoso’ by Rena Jefferson. 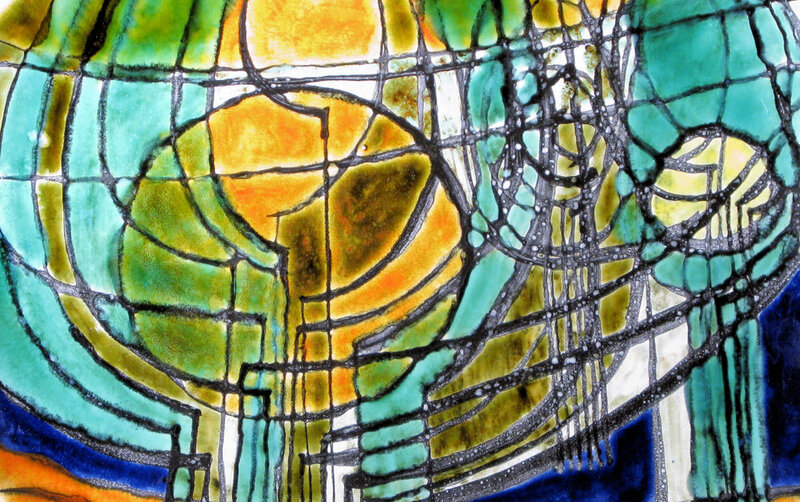 The use of wax resist and bold glazes by Tony Morris in the 1960’s often gave designs more than a passing resemblance to stained glass. 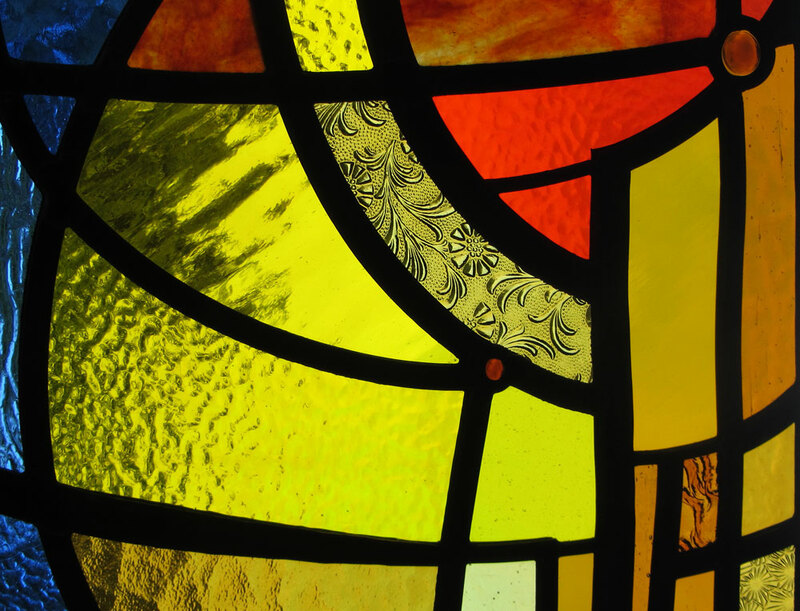 This has been taken to its logical conclusion by Apollo Glass in Woolwich who have based a stained glass panel design around a 1960’s TM pollarded tree. Verdict? Every home should have one. Above - Leslie Elsden, head of the spray-shop decorating a life-size sea-lion. Does anyone know who commissioned the sea lion. Are there any pictures of the finished work?